Spending time with your teenage kids can require a delicate balance: you’ve got to find something fun, engaging, and most importantly, cool. Surfing checks all those boxes and more. Establishing habits for an active lifestyle is much easier than getting acquainted with working out later in life. Introducing your teen to an activity like surfing can set them up for a lifetime of healthy living. Surfing encourages you to maintain a decent level of fitness to stay ready to chase waves, which is a practice that can carry over to other aspects of life. Additionally, as teenagers navigate life, they’re always in need of ways to regulate their hormones. Physical activities, like surfing, trigger the release of endorphins which improve your mood and relieve stress. As teens grow into adults, they’re more likely to keep up the practice of staying healthy if they’ve learned to enjoy physical activity at a young age. Plus, they can pass on their love for the sport to their own kids to enjoy someday! As kids grow into teens, they begin to establish themselves as their own person. By figuring out who they are as they develop, teens are more likely to be happy as they enter adulthood. Healthy exercise as a teen is linked to having better physical health later in life. Because surfing is a full body workout that works your core, arms, and legs, teens especially benefit from the physical aspects of the sport. Even those that don’t live near an ocean full-time will benefit from learning to surf since surfing teaches kids about cross training for other activities. You can surf in the summer and stay conditioned for skiing in the winter. Win-win! Spending time in the water can give teens a healthy appreciation for the environment. When you spend time doing an activity that requires such an intimate relationship with the ocean, you can’t help but become aware of your place in the world. How your actions have a ripple effect throughout an entire ecosystem and how you can change habits to improve the world around you are both influenced by surfing. The sport also teaches your teenagers basic ocean safety practices, like the importance of swimming and surfing with a buddy, and how to navigate through dangerous aquatic conditions (especially choppy water). The better prepared your young adults are to navigate the environment around them, the more comfortable you’ll feel releasing them into the world. 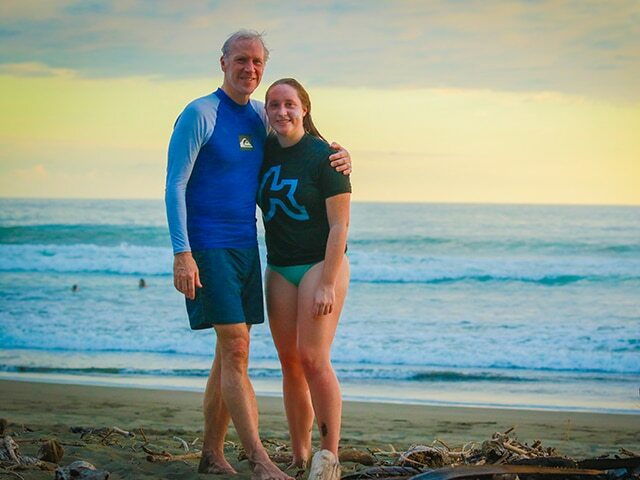 But if you can get your young adult to try something new, like surfing, they’re more likely to see that putting themselves out there can pay off. Trying their hand at surfing also instills a sense of resilience and persistence, since chances are they aren’t going to get it right the first try. And while team sports are great for teaching teens about cooperation and inclusion, surfing gives them a taste of what they’re capable of on their own. Bobbing on the waves alone, paddling out by themselves, and deciding on their own to go after a set are all solitary activities that require a teen to rely solely on themselves. What better way to spend family time together than bobbing in the surf on a beautiful sunny day? 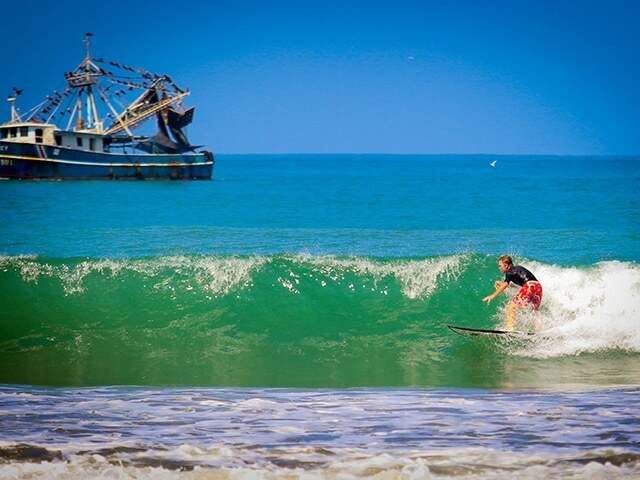 Surfing is an activity everyone can do together, regardless of age or skill level. Plus, once everyone gets more comfortable on the water, your family will be eager to explore surf destinations all over the world. We remember the experiences we share will our friends and family more than anything, which is why surfing is a great way to build family bonds. Bonus: your teen will, like, totally think you’re cool, dude. Healthy living, understanding of the world, and better relationships. There are so many reasons to surf with your teens. So we have just one question: what are you waiting for?